What most people think of when they hear the word “addiction” is physical addiction, which involves the brain becoming so used to having the drug through regular use that it becomes dependent on the substance, as discussed above. The body actually begins to crave it and experiences physical withdrawal symptoms when it does not have its regular hit. Psychological addiction, however, is when you become mentally or emotionally dependent on marijuana, as in, you don’t feel happy or “normal” unless you have it. Many people still suffer from their psychological addiction to a drug even after they have gotten clean from it physically. They think about using and how it makes them feel and the people and environments associated with it and long to return to that time. This is why good addiction counseling is essential to help you acknowledge these thoughts and feelings, process them, and learn how to replace them with healthier thoughts that don’t involve abusing marijuana. Studies have shown that marijuana withdrawal symptoms can appear less than 1 day after last use, reaching peak intensity between days 2 and 4, and can generally last for 7 to 10 days.7 Even after withdrawal symptoms have disappeared, it is important to seek treatment to address the underlying causes of the addiction. Marijuana may be difficult to quit without professional help. Marijuana users may be reluctant to seek treatment, especially if they do not view the drug as addictive or do not want to be labeled a drug addict. However, treatment is non-judgmental, can ease the transition into recovery, and provide support, education, and therapy that can help a marijuana addict maintain sobriety. There are various treatment options available for an individual with a marijuana use disorder. Adults who seek treatment for addiction to marijuana have often used the drug daily for an extended period of time, and have attempted to quit on their own multiple times.1 Many individuals also suffer from other addictions or mental health disorders that will need to be treated concurrently.1 This can be accomplished in an inpatient or outpatient setting, or in private therapy. Inpatient treatment involves a stay in a hospital or residential-type setting for 28 to 90 days (or longer, if necessary), where patients will receive group and individual counseling, education, and in many cases, exposure to self-help meetings to enhance the treatment experience. Outpatient treatment is less restrictive, and patients attend group and individual counseling several times a week and are free to attend school, work, and tend to household duties while still receiving treatment. Group therapy can provide a strong basis for peer support and is an extremely effective treatment technique. Private therapy with a therapist or psychologist is also helpful, especially for mild addictions. There are currently no medications approved for use in treating marijuana addiction, although non-addictive sleep aids may be prescribed to ease the insomnia that can accompany withdrawal.1,4 If there are underlying mental health issues, appropriate medications and treatment can facilitate the recovery process and help individuals sustain long-term sobriety. Generally, the first year of sobriety is the most difficult and the time when relapse is most likely to occur. Professional treatment can ease the transition from marijuana use to sobriety, provide education about addiction and recovery, and most importantly, leave patients with an understanding of relapse triggers and coping skills to use to maintain sobriety. Since marijuana use may be a way for individuals to socialize, relax, or feel good, treatment can help individuals develop healthier alternatives to have social interactions, unwind, and experience feelings of happiness. National Institute on Drug Abuse. (2016). Marijuana. The New York Times. (2016). Marijuana has proven to be a gateway drug. National Institute on Drug Abuse. (2015). 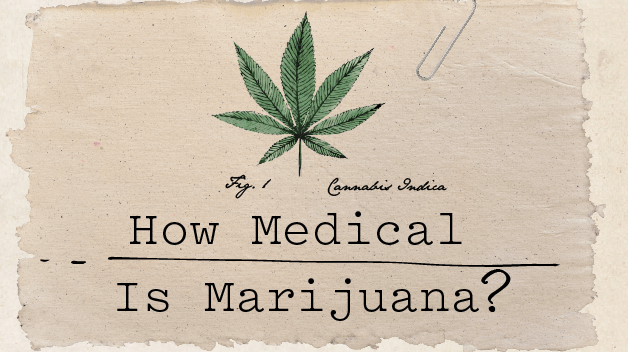 DrugFacts: Is marijuana medicine? National Institute on Drug Abuse. (2016). DrugFacts: Marijuana. Psychiatric Times. (2002). Does marijuana withdrawal syndrome exist?